On any given day when one opens my fridge they will find at least 5 lemons hanging out in the fruit drawer. I’m absolutely obsessed with lemons and must have them in the house at all times! I drink lemon water every morning (click here to read why this daily ritual is so beneficial to your health), I add lemons to my tea, I bake with them, I cook with them, I make salad dressings with them, I even clean with them but you know what else I do?! I use them as part of my beauty routine! That’s right these amazing little yellow beauties are remarkable at enhancing your beauty. Did you know that lemons are a powerful yet gentle bleaching agent! 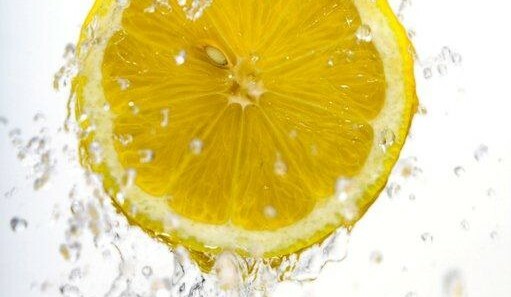 Anyone who suffers from dark underarms or elbows can use lemon to kill the bacteria and lighten the color of your skin. Simply cut a lemon in half, rub it on the affected area and watch the spots start to disappear. How many of us have scars we wished would fade away. Lemon juice and cucumber juice are here to solve that problem. Mix equal amount of lemon and cucumber juice, soak a soft cloth in the juice and apply it to the area. Leave it on for 5-10 min. rinse with water and continue with your regular beauty routine. This can be done several times a week until you’re happy with the results and is gentle enough to be used on your face. Have dull, damaged hair? Take ½ cup of honey, 3/4 cups of melted coconut oil and 3 tablespoons of lemon juice mix it all together and apply this mix to your hair. Leave it in for about 30 minutes (enjoy a nice bath in the meantime). Once 30 min. has passes shampoo as usual. Regular use of this treatment will leave your hair shiny, soft and healthy looking. And if you’re like me, completely obsessed with soft skin spending a small fortune on body scrubs this little DIY will make you sing in the shower with joy! It will leave your skin soft and glowing and all the while saving that small fortune in your wallet for something special like the new pair of shoes you’ve been eyeing or that summer dress that has been calling your name! You can also add a drop or two of Lemon essential oil to revitalize and uplift your senses! Coconut oil should be soft but not melted. Mix all ingredients in a bowl and place in a jar with a lid. This can be left out if used within a week or so, otherwise store in the refrigerator for future use. Note: you might want to plan ahead and take the scrub out of the fridge couple hrs. before you shower so the coconut oil has time to soften. Enjoy these simple recipes and let me know how it all turns out for you.